Dorothy Morgan - The Friends of Astrology Inc.
​The Seacoast Astrological Association a small group located on the seacoast of New Hampshire. This group has been around since the early 1990's. Star Struck A past member of the Astrology group based in Concord, NH. I am Dorothy Morgan a Professional Astrologer and Personal Consultant. I am also an Astrology Teacher, Intuitive, Mother and Grandmother. In my personal life I love the ocean and anything relating nature. I also recreate and love Viking history. I took over my family Flower-shop and was introduced and started to learn Astrology. Now 29 years later, I am still going strong and learning something new everyday about Astrology. It is such a complex and powerful tool of personal understanding, my love to know more is never ending. 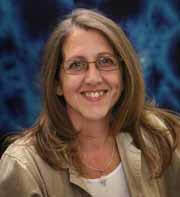 ​Dorothy is highly skilled intuitive, Reiki Master/Teacher and Angel Healing Practitioner. As a teacher, she is practical, logical and enjoys having a lot of fun in her classes. Using a sense of humor and Gemini wit to make a complex tool easier to learn and understand. She also offers consultations that are easy to understand and practical, keeping the astrology jargon to a minimum, allowing you to gain a better understanding and not leave the session in a fog.